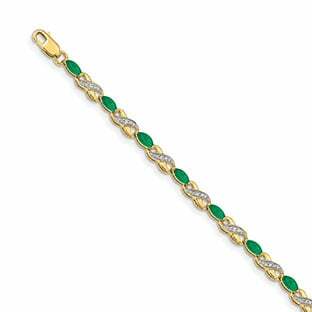 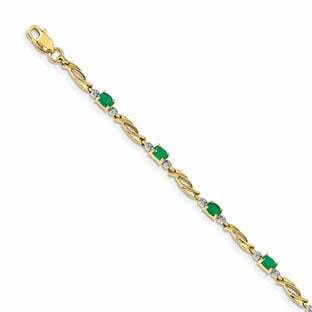 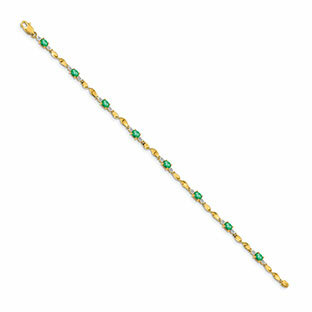 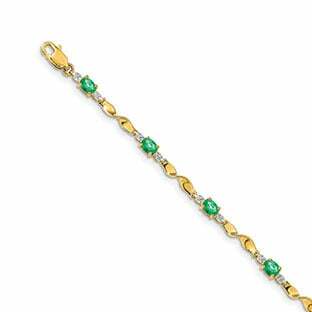 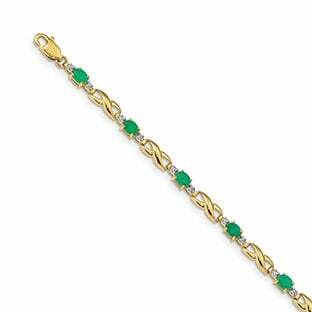 This bracelet is crafted of solid 14K yellow gold and contains 1.8 carats of oval-cut natural emerald gemstones and is accented by 2 natural diamonds. 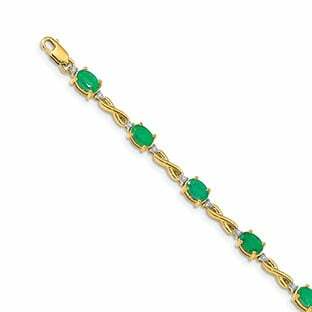 Contains eight 4 X 3MM oval emerald stones. 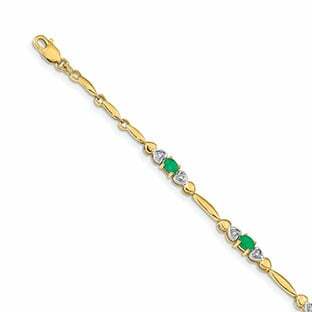 The bracelet is 4MM wide, and is 7 inches in length. 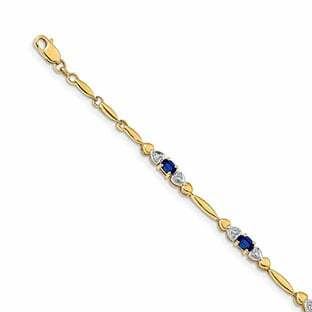 Completed with a very secure, fancy lobster clasp.